Enter your information here. Enter gift information below. All subscriptions that start with Jan/Feb 2019 issue will be mailed First Class with a Post Office charge of $2.50. You will receive it in early January. All subscriptions that start with Sep/Oct 2018 issue will be mailed First Class with a Post Office charge of $2.50 and will receive it in just a few days. After you click Place My Order button you will see a thank you page and then receive an email confirming your subscription. If you have other questions please send us email or call 504.208.9959 we'll be happy to help. 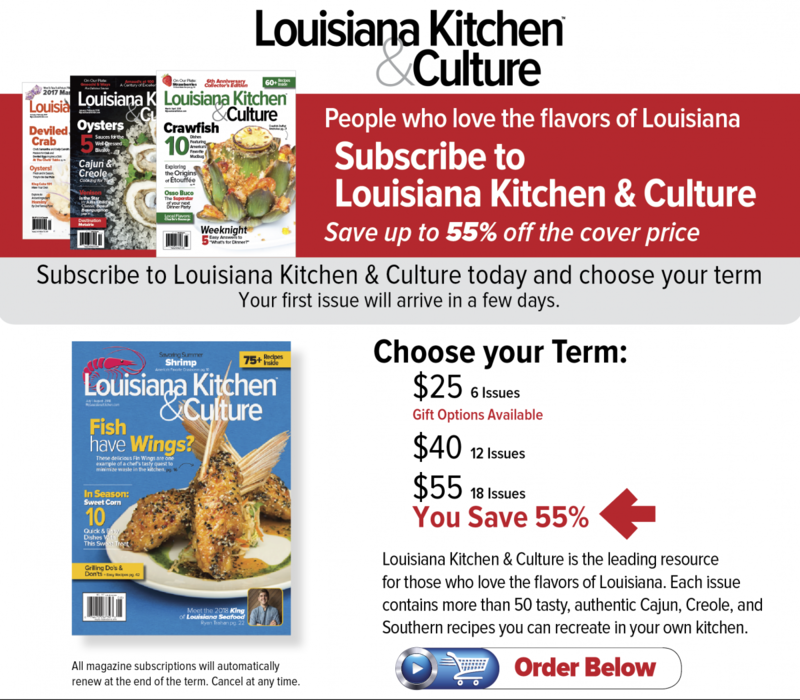 Thank you for your subscription, support and enthusiasm for Louisiana cuisine, heritage and traditions.